This year’s American Cancer Society (ACS) ‘Relay for Life’ event in Elkton, Maryland, had many memorable moments for the Orbital ATK team. The team raised a record-setting amount of money -- more than $19,000. The team also had the highest number of members – 36 in all – who participated this year, 11 of whom stayed all night. Events such as the raffle, daffodil sales and the golf outing put the Orbital ATK team way out in front of all the other teams at this year’s event. 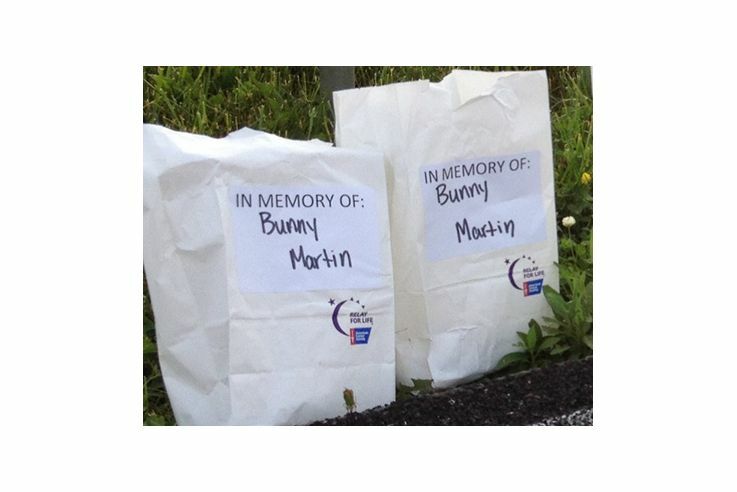 The Orbital ATK team from Elkton, Maryland, celebrated their fallen co-worker with numerous luminarias at the recent American Cancer Society Relay for Life. 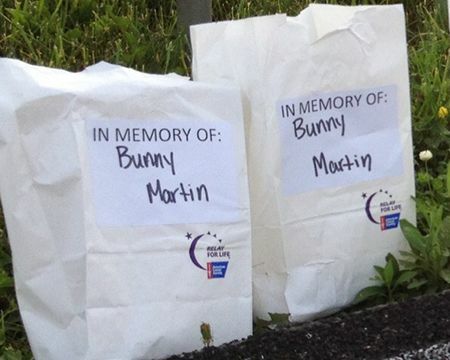 Aside from these moments, perhaps what is most notable about this year’s event was how many employees showed their support for former Elkton employee, community support leader, and great friend, Bunny Martin, who lost her battle to cancer late last year. And strike back they did. The overall contribution wasn’t just the largest of all the teams at this year’s event, but was the largest in the company’s history. In addition to individual fundraising, the Orbital ATK team coordinated the annual Flowers of Hope sale, the first Orbital ATK Pi(e) Day celebration, restaurant charity nights, and raffles and more. Funds from all these events will go toward cancer research, prevention, awareness and patient services. The team’s “Can Cancer” food drive also collected a large amount of goods for the Union Hospital’s Cancer Resource Center food pantry, as well as Ray of Hope. This marks the seventh year that the Orbital ATK Elkton team has participated in the event, which features a 12-hour walk relay for community teams. The event also features special touches to highlight the ongoing battle against cancer, including the inspiring ‘Survivors Lap’ where those who’ve beat cancer receive a hero’s cheer, and the solemn 'Luminary Ceremony,' where the lights are lowered to reveal the many candle lights on display for those who are present only in memory and in honor of those who have fought or are still fighting. The track was lined with over 25 luminaries in memory of Bunny, as well as many others for family members of Orbital ATK employees and team members. Orbital ATK employees from Elkton, Maryland, were proud to participate in this year's American Cancer Socitey Relay for Life.